Submitters do not need to sign up for a Submittable subscription at www.submittable.com in order to make a submission. Instead, if you submit to an organization that uses Submittable, you'll be asked to create a free Submittable account on the organization's submissions page. 1. Go to the organization's website and look for their submissions page. If the organization uses Submittable, you'll be brought to their Submittable page containing the organization's submission categories. Click the Submit button next to the category you wish to submit to, or if you are already within a submission category, scroll down to the Create your account / Have an account? Sign in form. 2. If you already have a Submittable account, click the Have an account? Sign in tab to sign in to your account. If you don't remember your password, use the Forgot? link on the login form. Or, go directly to the Forgot Password page. 4. Click the Create Account and Continue button to continue with the organization's submissions process. You can now use this account login when submitting to any organization that uses Submittable. 5. Once you have submitted to the organization, you can check the status of your submission by logging in to your Submittable account. For more information, see our help article on submission statuses. 1. Go to Discover, our opportunities marketplace that enables you to search through thousands of creative opportunities by theme, genre, and deadline. 2. 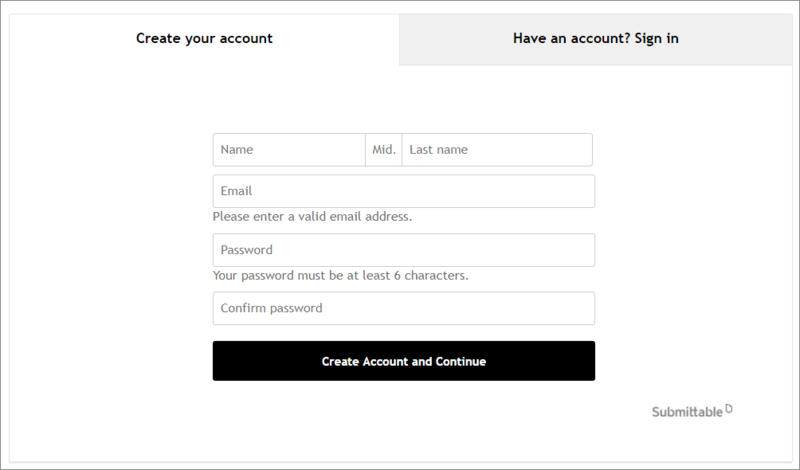 If you don't already have a Submittable account, you'll be asked to create a free account when you visit Discover. To learn more, see our help article about Discover. Interested in following Submittable on social media? We post deadlines for writers, filmmakers, musicians, and artists regularly on Twitter and our blog.